Vietnam has recovered from the Indochina Wars that devastated its pristine country. A tailor made or group tour to Vietnam may take you to one of its many stunning UNESCO World Heritages sites such as Hoi An or Halong Bay. 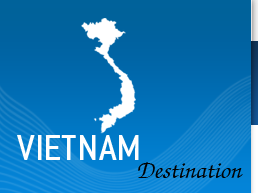 There is certainly much to explore on a Vietnam tour with its long coastline offering stunning beaches and just inland a Vietnam tour to the surrounding mountains near the border with neighbouring Laos will show you parts of the Ho Chi Minh trail or just offer great views of the coast, or even take in a boat ride through the Mekong Delta in Southern Vietnam continuing to Cambodia. After more than a decade since Vietnam opened its doors, Vietnam has emerged as a top tourist destination, now boasting a wide variety of hotels and beach resorts to meet everyone's expectation and budget whether on a Vietnam tour or just a beach holiday.